This contest is only a flesh wound: Win a copy of Knights of Pen and Paper 2! I'm not a knight, but if I were, I'd probably use a cool weapon. Not a sword, because all knights use swords. Maybe something more like a fishing rod with a flamethrower at the end or a tube sock full of marbles. Because I'm classy. You can be a renowned knight like me with your brand new copy of Knights of Pen and Paper 2: Deluxiest Edition! 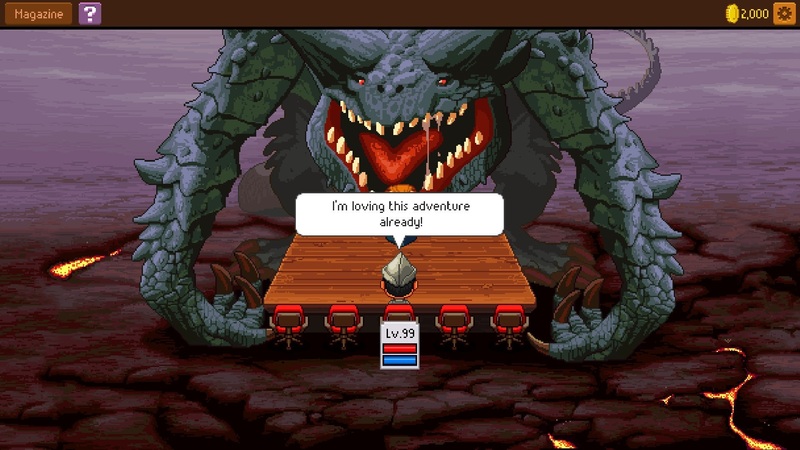 Knights of Pen & Paper 2 is a turn-based, retro style, pixel-art adventure full of danger, intrigue, death, and saving throws! Players assume the role of a group of teenagers, playing a classic pen & paper RPG to overcome dicey situations. As both party and game master, they get to assemble both their characters, and the challenges they will face. Select among mighty classes like Wizard, Thief or Warrior; proud races like Dwarf or Elf; and snark-slinging players like Goth, Lab Rat or Rocker. Choose quests and combat encounters, delve dungeons, craft powerful items and watch in horror as your muscle-packed barbarian rolls a one on his body check. Together, face the greatest threat the campaign world has ever faced: The new rules edition. Does anyone still use pen and paper? To enter to win your copy, comment below telling us which platform you prefer, as well as your adventurer's class and special attack. Obviously, my hero is a Nerd, who uses Primal Scream to stun opponents for one turn. If I scream really loudly and use the Soil Self critical strike, enemies will flee in disgust! We have five total copies to give out. Winners will be drawn on Thursday, December 13. Make sure you comment using a Dtod-generated Disqus account, and that your account is up to date with your current email address. Knights of Pen and Paper 2: Deluxiest Edition releases December 11 on PS4, December 13 on Switch, and December 14 on Xbox One. It's also available now for Steam.